Affordable living in a stellar location-20 mins to Mooresville, 30 mins to Huntersville and 50 mins to Hickory, Charlotte or Winston Salem. 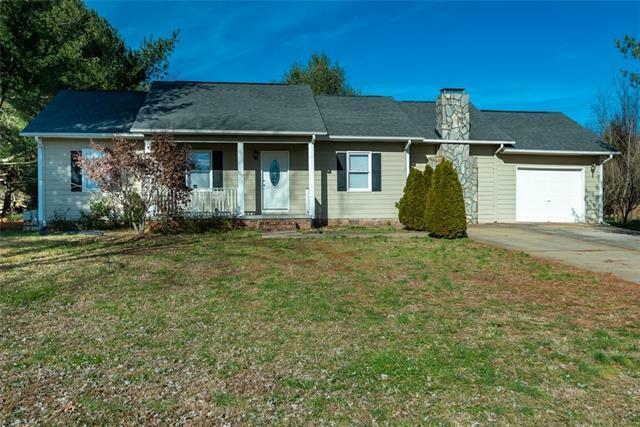 Conveniently located just off Hwy 70 E in Statesville, this 3 bedroom, 2 bath, one level home is priced right! Enjoy a spacious lot with outbuilding, chicken coop, patio and fire pit already in place. Rocking chair front porch and screened-in back porch for entertaining. Open Living Room and Dining area, Roomy Kitchen with granite countertops & stainless appliances, big pantry and laundry on the main. Recreation room with bar and rock fireplace. No Carpet - all laminate and tile throughout. Single car garage with workbench area. Split bedroom floor plan with nice master suite including walk-in shower and walk-in closet. Move-in ready! At this price the home is strictly sold As-Is.